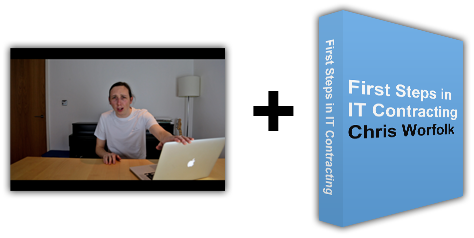 This agreement covers use of the IT Contracting Master Class programme, including the website, learning materials and any other related resources. Use of our service constitutes acceptance of the terms and conditions as laid out here. In the case of disputes, this argeement will be subject to the law of England & Wales. While we make an effort to ensure that our course content is accurate at time of production, it is important to note that Chris is not an accounant, lawyer or insurance professional. We advice you seek professional advice when making decisions and cannot be held liable for any inaccurate information provided as part of the course. Course subscriptions are for individual use only. Anyone found to be sharing accounts will have their account terminated. We put our real information on this website, and we expect you to do the same in return. All information entered must be true and accurate to the best of your knowledge. Accounts registered using false information will be suspended. From time to time, we may need to make updates to these terms. If so, we will notify you by email, or on the website.